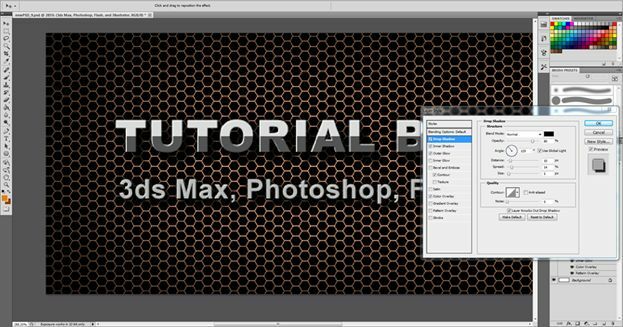 In this tutorial, you will learn to design cool Photoshop text effects. And a really awesome background pattern for the glossy metal text. Not the most advanced tutorial of this type, but it looks great. Just take a look at the finished image. I’ll use my web name for demonstration purposes. Use any text you want to. 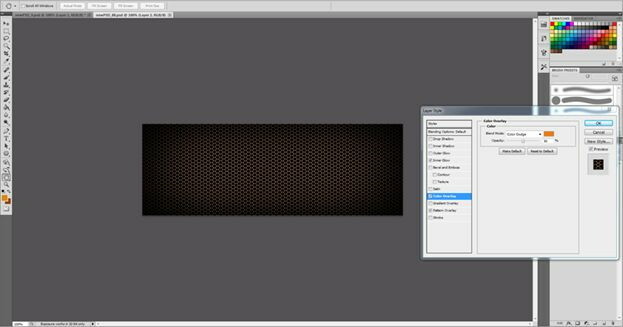 As for the background effect, change the colors or make new patterns from what you will learn in this tutorial. One thing to mention; if you take the example in this tutorial and resize the image, all layer style elements resize too. This included the Pattern Overlay. You will want to resize this separately because it will get blurry. 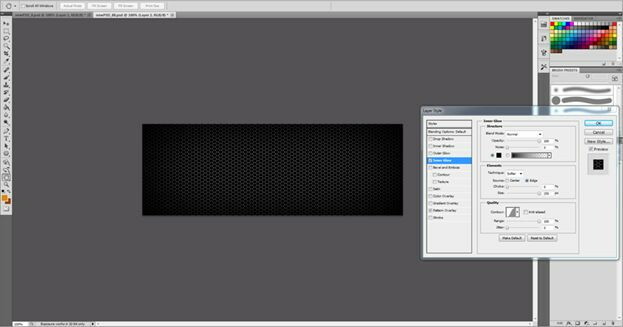 It is in the first layer you created; click “Pattern overlay”). 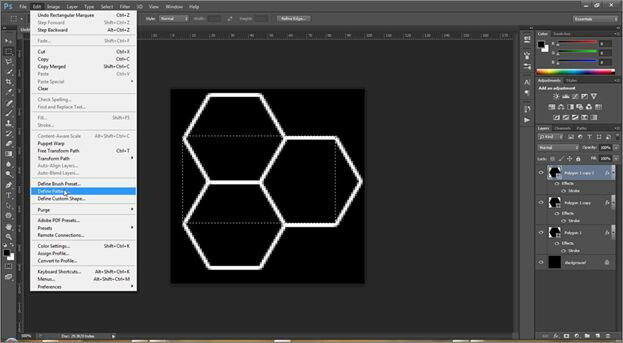 * Designing a seamless hexagon background pattern. * Use the Text tool with Layer Style Effects to create metallic text. * Use the effects you learned to create a logo for your website or business. So let’s start this cool text tutorial. 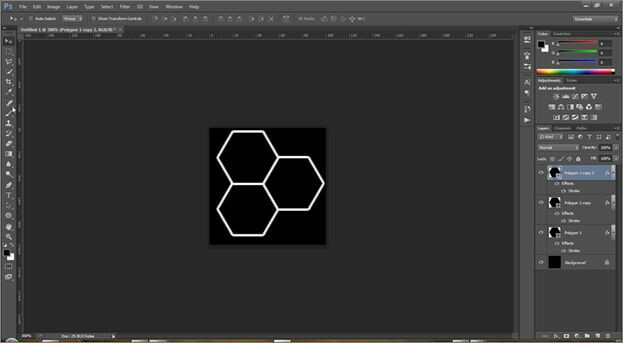 We will create metal text with a hexagon background. Watch the video or written tutorial below. 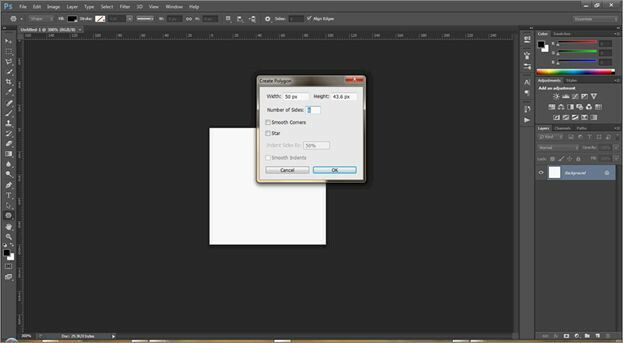 Create a new document sized 100px x 100px. Select the Polygon tool and click anywhere in the canvas. Enter Width:50px; Height:43.6px; Sides:6. Make background color black and go to the new shape’s layer style. Add a white color stroke with 2px to the shape. Then duplicate and place the polygon shape 3 times and place them in a pattern like the image below. 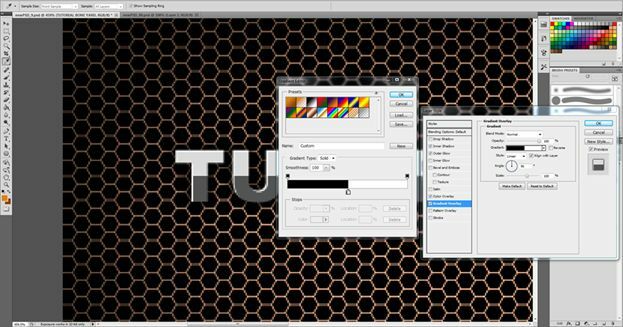 With Rectangular Marquee tool, make a selection like the image below. You have to make the selection perfectly to get a seamless pattern. When you’ve done the selection, go to Edit > Define Pattern and give a name to your pattern. Create a new document with 800x280px. Make a new layer and fill the layer with black color. Now add layer styles to the new layer. First, add a Pattern Overlay to it. You’ll find the recent pattern you’ve just defined. Use opacity 100% and Scale 25% (experiment with different scaling). Now add Inner glow to it. Use Blend mode: Normal; Opacity: 100%; Color: Black; Size: 250px and Range: 100% and a Contour: Gaussian. Add a Color Overlay. Use Color: # ed7b0c; Opacity: 50% and Blend Mode: Color Dodge. Now add your text. I used Arial Black as my font. After placing your text, go to the text layer styles. Apply a Color Overlay with color: #b2b2b2 and at 50% Opacity. Apply Inner Shadow with white color; Blend Mode: Normal; Opacity: 100%; Distance: 1 and size: 0. Now apply Outer Glow with Black color; Opacity: 60%; Spread: 15% and Size: 10px. Now this text is completed. Press Ok to apply the effects on the text. Apply a Gradient Overlay. Edit the gradient like in the image below. Place the black color at position 50 and place the white color at position 51. Blend Mode: Normal; Opacity: 100%. Then add a Drop Shadow. Blend Mode: Normal; Opacity at 80%; Distance 14; Spread: 0; Size: 5. Now I added a secondary text under the large text. Use Arial Regular for this text. Now add Color Overlay layer style to this text. Use Color: # afafaf; Opacity: 90%. Apply Inner Shadow with Blend mode: Normal; Opacity: 50%; White color; Distance: 1 and size: 0. This will add a bit more depth to the text. Apply Outer Glow with Black color; Opacity: 75% and Size: 8; Spread 8. We need this to darken the background behind the text so it does not blend in with the background. Experiment with the values to see what works best for you. Then Apply a Drop Shadow. Blend Mode: Normal; Opacity at 80%; Distance 10; Spread: 14; Size: 5. 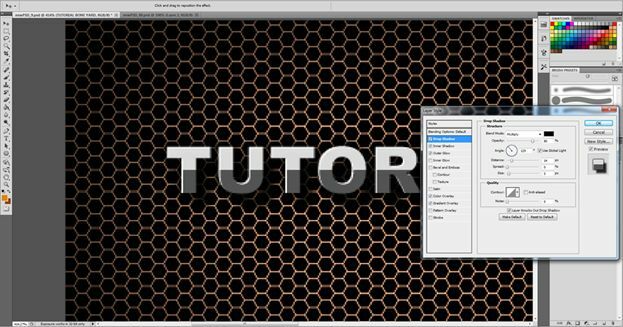 Creating cool text effects in Photoshop is easy to learn, as you see in this tutorial. Give the methods I have used and try and create your own designs. Thanks. Your guidance and tips are important and we appreciate your efforts for sharing this great information!